Up to a quarter of all asset management firms could be losing money by 2028, a new study by specialist consultancy firm, Casey Quirk, has found. According to the Casey Quirk report, while fund managers have been shielded by years of rising markets, underlying secular trends “will push many to the brink of unprofitability” over the next 10 years. “Even if capital markets steadily rise 5% per annum and fee compression rates remain static instead of continuing to accelerate, up to one-quarter of asset managers could see their margins sink below 5%, or tip into losses, before 2028,” the report says. The study found only 30 per cent of asset management firms over 2014-2017 eked out “profitable growth”. Of the remaining firms in the analysis about half engaged in cost-cutting – with limited effect on profits – while the remainder saw “economics slowly melt while they search for growth”. “Conclusions from the three-year analysis make a clear point: firms that effectively reinvest in their businesses benefit from both organic growth and margin expansion, and therefore see increased franchise value,” the report says. better strategic use of technology. Many asset managers have under-invested in technology during recent years with high margins masking operational inefficiencies. “Profitable growth firms, however, have realized that technology is a critical component of their future economics: providing them the ability to grow more quickly and efficiently than peers,” the Casey Quirk paper says. The more profitable asset mangers in the study are spending on technology upgrades across all functional areas including investments, distribution, middle and back office, as well as data. Greater spending on technology was also highlighted in the 2018 BNP Paribas/Investment News NZ (IN NZ) industry survey. The NZ industry report, published this September, found more than 50 per cent of respondents “were introducing new technology to streamline processes”. Casey Quirk found the most profitable asset management businesses spent more than 9 per cent of their revenues on technology. “More importantly, profitable growth firms have increased their technology spending levels three times as fast as peers,” the report says. The study, featuring senior Casey Quirk managers Amanda Walters and Anthony Skriba as authors, also highlights a “generational shift” in leadership across the funds management industry characterised both by retirement of founding figures and new ownership models. Indeed, the days of “independent partnerships where talent owned the enterprise, profits were viewed as compensation” could be numbered, the report says, as most asset management firms now had external stakeholders to placate. Old-school leadership skills such as “managing investment professionals, innovating product, and engaging with clients” would become less important for external stakeholders. 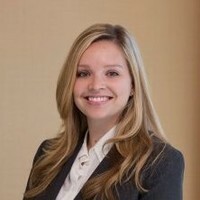 Casey Quirk is a division of Deloitte.